BMW is more and more interested in expanding its horizons. From launching a host of new models to aftermarket parts through the M Performance division and to lifestyle accessories, the Germans will soon offer anything you could wish for. The Bavarians have recently taken the veils off their new M Collection accessory and apparel items, and they do seem enticing. High quality watches and BMWs somehow go hand in hand (pun very much intended). That’s probably why the most important item for BMW aficionados revealed this week is the exclusive Swiss-made Sellita SW 500 automatic timepiece. With a back and cover made from sapphire glass, this elegant accessory will draw a lot of looks. The brass face with an additional trio of small chronometer dials (totalisers) as well as a date and day-of-the-week display conveys precise information at all times, while applied indices, illuminated hands and a color BMW M logo provide further visual highlights. Then there’s the BMW M jacket for men with zips and tabs – based on the design of the BMW M4 sports steering wheel – and the quilted lining mirroring the styling of the BMW M4 air inlet grille underscore its sporty appearance. There’s also an M jacket for ladies available that comes with a quilted finish and a sophisticated layered look. 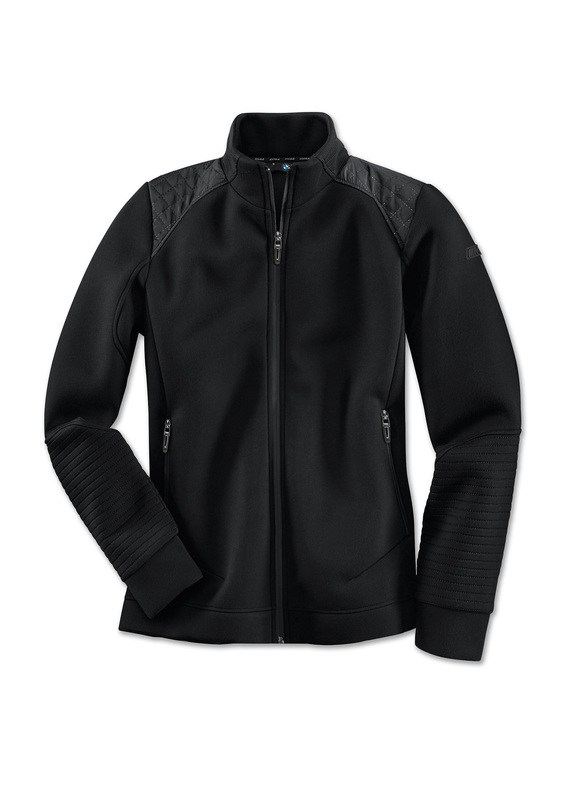 The neoprene-like BMW M Sweat Jackets made from a wind-repellent fabric combine functionality and style. The sweat jacket for ladies features fashionable appliqué detailing with matte and shimmering materials on the shoulders, sleeves and back, while quilted appliqués on the men’s version create a dynamic effect. The BMW M Fan T-Shirt with brightly colored BMW M logo print for men and the BMW M T-Shirt with gloss-print BMW M logo for ladies make a clear statement. 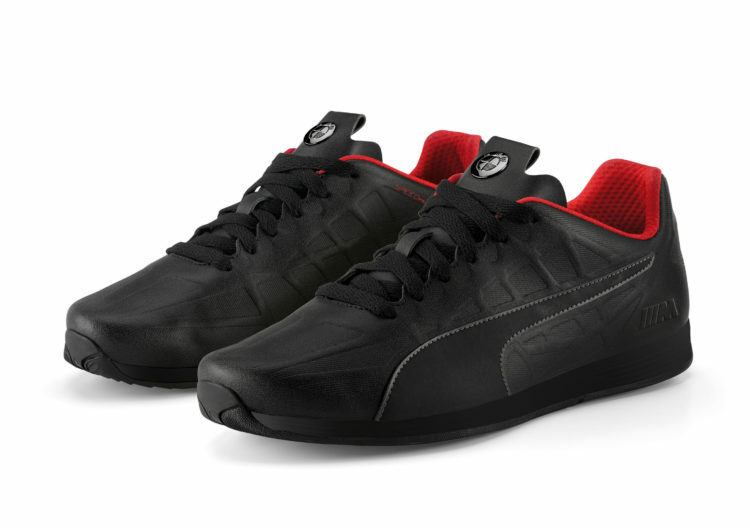 The unisex Puma sneakers in BMW M design bring sporty levels of grip to the soles of your feet. 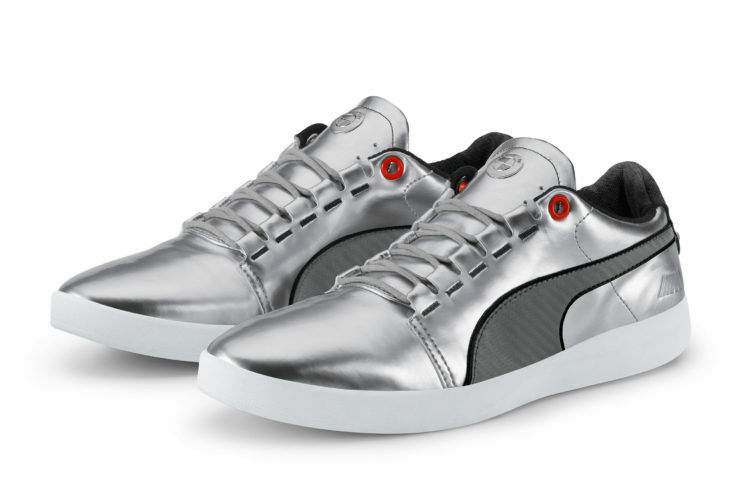 The silver-colored BMW M X-Cat with distinctive carbon-look details and the BMW M Puma Evo Speed, whose characteristic design is elegantly underlined by a black structured appearance, send a strong dynamic message. As well as high-quality clothing and footwear, the new M Collection also includes a wealth of accessories. The BMW M Lifestyle Headphones – which can also be used for listening to music and making phone calls wirelessly thanks to Bluetooth 4.0 technology – and the BMW Power Bank with charging capacity and ports for two devices (featuring the distinctive design of the BMW M4 air inlet grille) make practical everyday companions. The BMW M Bag, can be carried either as a spacious tote or as a messenger bag thanks to its ingenious design. A padded compartment provides excellent protection for a laptop or tablet. Anyone needing a highly robust yet stylish traveling companion will find what he’s looking for in the BMW M Trolley case and the BMW M Boardcase. These high quality hard-shell trolley cases in carbon design have a sturdy telescopic handle and four double castors in M4 wheel effect. The distinctive appearance of the cases, is based on the BMW M4 roof design. All these new items are now available for purchase at selected BMW dealers and online.